There are many roles I fill every day… Husband. Son. 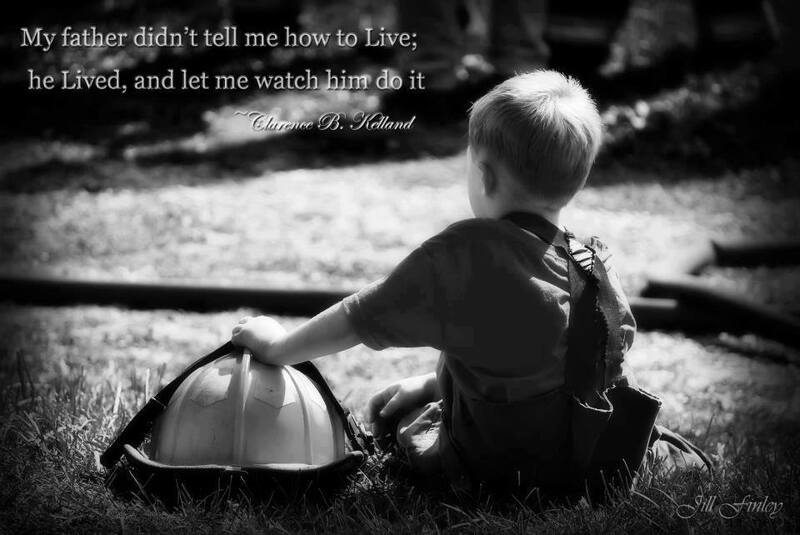 Firefighter. Friend. Upward League Director. Father. Of all the things I do and all the roles I fill every day, being a father is the one I love the most. I find it the most challenging…and the most rewarding. There are days I do well as a dad…and there are days I don’t do so well. The stress of being a father is unparalleled to any other stress I encounter regularly, including being a firefighter and 911 dispatcher. It’s hard being a father…and a mother for that matter. No one ever said it was easy, and like anything else, there are good days and bad days. There are days I get it right, days I struggle with how I’m doing, and there are days I simply fail big. Monday was one of the days I failed. I’m not going to go into the details of Monday here, except to say I lost my temper. Please know that I’m sorry. For my impatience, I’m sorry. I’m sorry that I will not always live up to your expectations…to what you want and deserve from me. I’m human, and I will eventually let you down. When I lose my temper with you and lack patience, please know that in my heart my love for you is unchanging. There is nothing you could ever do to change the depth of my love for you. Know that there is one Father who will never let you down. His name is Yahweh, and He will always be patient, loving and kind. When I fail you, please seek the comfort of God’s arms as your eternal Dad. I love you more than I could ever express in words, and I will constantly work to become a better dad…the dad you so richly deserve.